Home > Press Office > News & Events > Sheep activities for holiday time! Sheep activities for holiday time! Summer holidays abroad are always fun. Sun, sea and sand give families the chance to relax and create some new memories. Whilst some kids undoubtedly love the excitement of watching the aeroplane take off and land, for others going to the airport and travelling can be less than entertaining and a challenge for parents. However, British Wool is here to help keep kids entertained! Here at British Wool, we know the story of wool is an incredible one, we also know another thing… kids love sheep! Our learning resource platform has all kinds of fun, yet educational sheep activities to keep kids occupied. 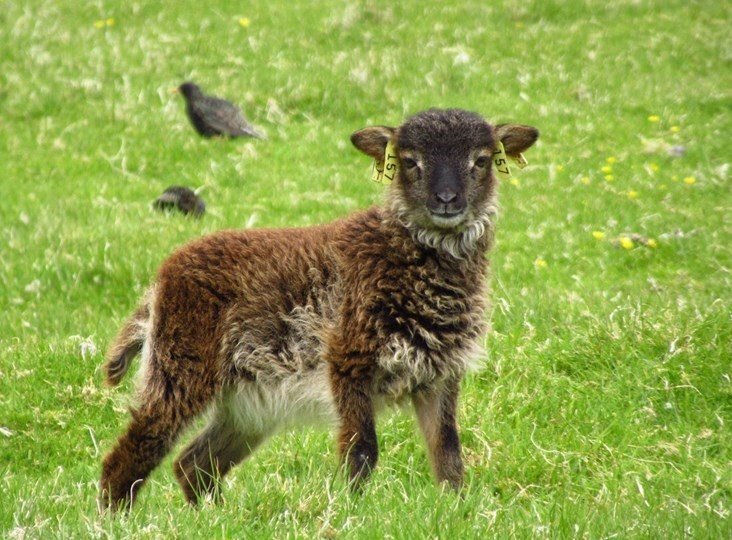 Why not print out a sheep related booklet for the kids this summer? Below are just a few of our favourites which are perfect for the plane, the airport or even if you’re travelling by car. Shapes colouring activity – Count the shapes on the jumper, colour the jumper and add your own shapes to finish the pattern. Counting practice up to ten. Spot the sheep activity sheet – Find the sheep that are hiding in the picture. Can you find them all? Increasing observation and concentration. Colour and Count – How many lambs can you see? How many flowers? How many clouds? Colour the pictures and count the things you can see. Dreaming activity sheets – Ask children to identify what the sheep is dreaming about and why. Use these sheets as a topic for discussion. Encourage children to share views and to listen and respond to the opinions of others. Letter formation activity sheet – Handwriting practice sheets containing activities to develop writing and alphabet skills and to expand vocabulary. Alongside games and activities which can be printed, we also have interactive challenges on site for kids. Happy holidays! Keep your little lambs entertained on holiday!